Please note new NHS and local guidance on prescribing for minor illness. Barn Close Surgery is an NHS general medical practice committed to delivering modern, high quality general practice to the local community from our well equipped surgery in the heart of Broadway village. Our doctors, nurses and all our other staff are dedicated to offering a professional service and this surgery website will help us to keep all our patients up to date with news and information about our practice. We will keep it current with any developments or other details that we feel are relevant to you. Please let us know if you change your address, telephone or mobile numbers as soon as possible. This enables us to keep your records updated and correct. We are planning on moving to a new appointment system in the near future. This will enable us to send SMS (Text) message reminders about appointments and lab test results. To allow us to do this, we will need our patient's individual consent, as well as up to date mobile telephone and email addresses. Please complete the contact sheet that can be collected from reception. Thankyou. Please can patients used utmost care and consideration in the car park. In the last few weeks, we have had staff cars hit in the car park by patients. One doctor's car was hit twice in consecutive days. We are not obliged to provide parking for patients, so it is important to use the spaces responsibly. Please do NOT block in any other car. Please do NOT block the rear entrance to the building - Ambulances need emergency access at ALL times. DO NOT block the car park or the entry lane when "dropping patients" off. Once your visit to the practice has finished then please leave promptly and do not use the car park whilst visiting the Post Office/Pharmacy/Coffee Shop. If a patient damages another car, then please make this known to reception, and the appropriate action will be taken. 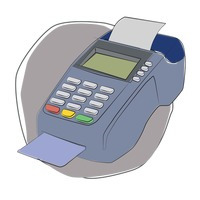 We have now installed a Debit Card machine for Chip and Pin and Contactless payments at the dispensary. This will hopefully make all transactions easier. Please use our dispensary if you are elligible to do so. If you are not sure, then please just ask. Generally, if you live in any of the surrounding villages then we are allowed to dispense your medication. You can now book appointments and order prescriptions online. At present they are two different systems so you will need a login and password for both. You will need to have already registered at the surgery to use this service. You can download the consent form by clicking on the link below. Please remember to bring photo ID when you return the form to reception. Please DO NOT request medical advice or try to contact or pass any information to any of the doctors via any forms/email addresses that you may find on this website. The GPs have made a decision not to deal with any medical queries or information requests for medical advice via email. This is because confidentiality cannot be guaranteed and there is no way of knowing when an email will be read. If you need medical advice or if you need to give information to your GP, then please make an appointment to see your doctor. Patients wishing to speak to the District Nurse Team please dial the above number. If there is no-one there please leave your name, telephone number and a brief reason why you wish to speak to them. Please note the answerphone is checked on a regular basis and a member of the team will get back to you.